We invited IB Diploma graduates to reflect on post-IB life and offer perspectives on topics of their choosing. 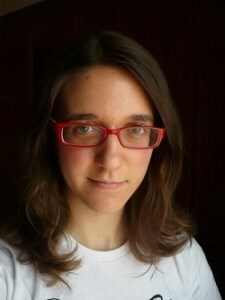 Irene Sánchez Brualla is one of this year’s cohort of alumni contributing authors. This is a Spanish saying that translates, “The one who does everything he can, is not obliged to do more.” I think this brings perspective to moments where there is pressure to perform at the top. The lesson is that some things are impossible, and you cannot be asked or ask yourself to attain them. When the exams start, we have to do our best with the means and the knowledge we have at that moment. If you do that, you can be proud of yourself. When you look at your IB scores, be proud of yourself and know that you did the best that you could. Well, at least in your head. You are free from courses and exams, you have learnt new things (about your subjects and about yourself), and you have your results. Now, don’t focus on what you could have done better. Perfection doesn’t exist. You have just some months to relax and not worry about school, exams, or grades. Most probably, you will need them, even if you don’t think so. I bring this up because I think it is important. Worrying can lead you a bit astray from reality. And this can be counterproductive if, after passing IB exams, you have to do other tasks that may need your immediate attention to succeed. You’ve done your work, it was well done, and now you’re moving on to the next step in your life. Be it university or something else, it is normally a big change and you cannot start preparing for it until you get there. So if there’s nothing you can do yet, don’t stress about it. You will have the time to seize your new situation when you get there. Enjoy this summer as best as you can. I would like to add something that I don’t consider a secret: you probably have some good friend(s) that you met while studying for the IB diploma, as going through hard experiences together creates a lasting bond between people. This may not be a secret related to exams, but for sure it can mean a lot of support during and after the exam period. I think it is important to remember these connections, and recognize it as a positive part of the IB Diploma Programme. You can also stay connected to the IB community by joining the IB alumni network. Stay active and involved, and you will make great connections and find some good opportunities, like writing for the blog! Irene Sánchez Brualla graduated from the Diploma Programme in 2009 from I.E.S. Santa Clara in Santander, Spain. She completed her undergraduate degree in Biomedical Sciences at Universitat Autònoma de Barcelona (Spain), and she is currently pursuing a PhD in a joint degree program between the Universitat Autònoma de Barcelona and Université d’Aix-Marseille (France). When she is not working or blogging about science or politics, she enjoys learning more about the complex world we live in, studying languages (currently Russian), watching adventure movies, swimming and running.